CallOne mini phone to make or receive a call of you mobile phone via wireless . To send and receive SMS of your mobile phone via wireless . To synchronize SMS list, call record, phone book etc. of your mobile phone via wireless . To be inserted with a SMS Card and as a mobile phone. 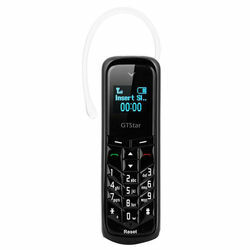 BM50 mini phone maybe the smallest phone in the world mini size, easy to carry, an intimate backup phone also, it work well as a earphone . Mini dialer full synchronization SMS call record phone book perfect mate for your phone, pad or other devices CallOne mini phone to make or receive a call of you mobile phone via wireless . To send and receive SMS of your mobile phone via wireless . To synchronize SMS list, call record, phone book etc. of your mobile phone via wireless . To be inserted with a SMS Card and as a mobile phone.